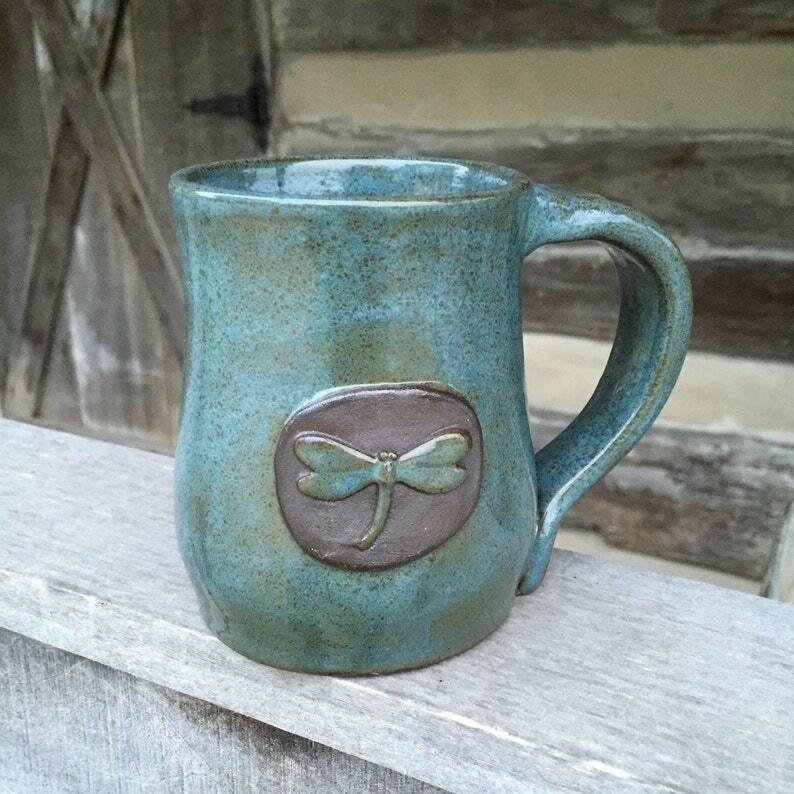 This handcrafted dragonfly mug is glazed with Tourmaline glaze over dark clay resulting in earthy tones of blue/green and brown. 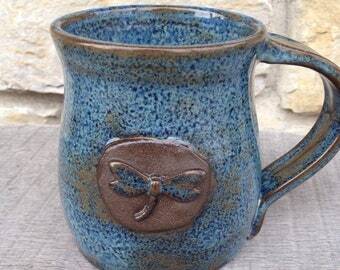 Each piece is individually wheel thrown and hand painted. Natural variations will occur. Love the quality of your work! I appreciate the packaging!! 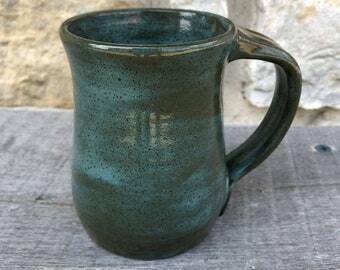 Mug was of exceptional quality. It was well-packed and arrived in a timely manner. Very pleased with this purchase!